Brad Smith is an agent with the CIA. He is also a former tennis pro. Ranked near the top and in demand at all tournaments, Smith could pick and choose and go where he pleased. 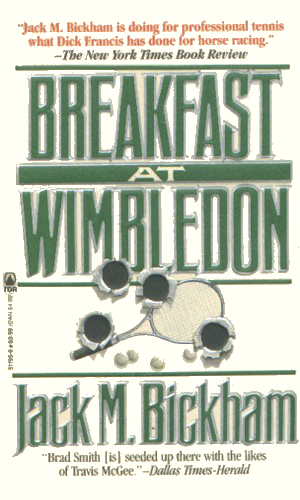 At his prime, he had won Wimbledon and was a darling of the tennis circuit. Now at age 40, he has long since quit the circuit. Having made a considerable amount from his winnings, Smith is not in need of money. Just as he had quit playing professionally nearly a decade before, Smith had done his last job for the Agency nearly five years before the start of this series. He had retired. Now he occupied his time and stayed in the sport that he still loved by writing about it as a freelance journalist. He remains in terrific physical shape by playing in the occasional charity event, making him in better shape than most men his age but he knows his endurance is not what it once was. The days of risking limb in a match or his life on a case should be long over. Then his old handler, Collie Davis, came calling for just one more job. A simple one, to Davis, and one tailor-made for Smith. Just one more. And then another. And so on. 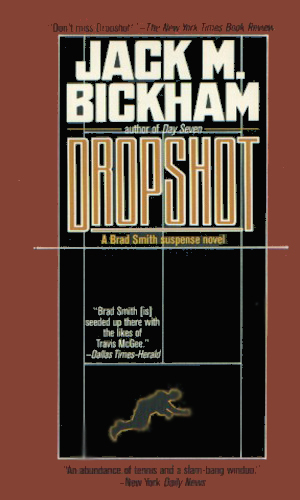 The CIA needs Brad Smith to travel to Yugoslavia to help a rising female tennis player defect to the West. Not wanting her to go is her father who loves the fame, her coach who loves the player, her sister who loves her country, and the KGB who doesn't love anyone. The Tennis College on St. Maarten was a great place to improve one's backhand. It was also a great place to pick up a spy because the area is crawling with them in every shape and size looking for a missing computer scientist and the microchip he stole. Brad Smith heads to Montana to help out at an event to raise money for his old doubles partner's failing resort. Since he's going, the CIA wants him to see if he can find who is sneaking out top secret information from a nearby military lab. Brad Smith never thought he would ever play at Wimbledon again but since he's going to be there, the CIA would like to act as a secret bodyguard to a loudmouth who begs to be a target. A bit confused is Brad Smith when a federal agent knocks on his door and asks for the address of someone who had died in Vietnam two decades before. But recent videotape shows him alive in Denver and someone wants him dead. And Smith, too, if he sticks his nose in. 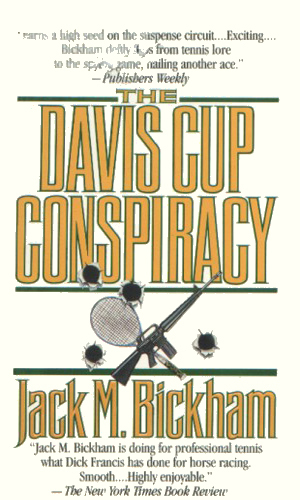 When he is chosen to head the U.S. Davis Cup team competing in Venezuela, Brad Smith finds he has to spy on fellow players who have no idea of teamwork. He must also spy on the sponsors for the CIA, a group of oil rich men who want to overthrow the South American country. Naturally the similarity between Smith and Kelly Robinson is too obvious, except Smith didn't have an Alexander Scott to banter with and have cover his back. But the concept of an athlete also being a traveling spy is just too good to pass up. 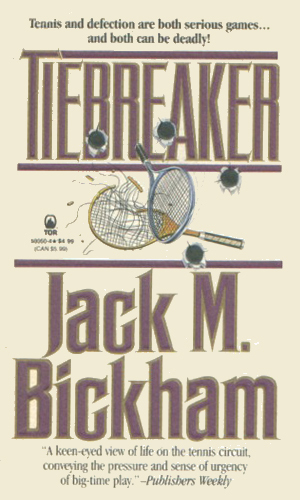 For that reason, Mr. Bickham can be forgiven. 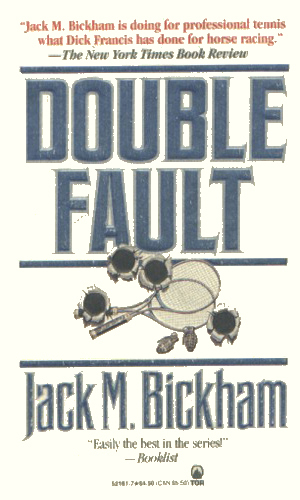 He can also be forgiven (as if he needed to be, of course) because this is just one darned good series! I immediately liked Brad Smith from the first page. And I like the rhythm of the story. It flowed easily and surely and took me along with it nicely. 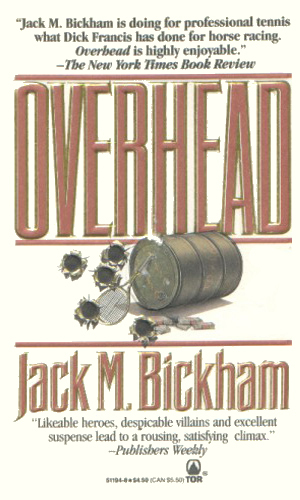 This is a good spy series to read.